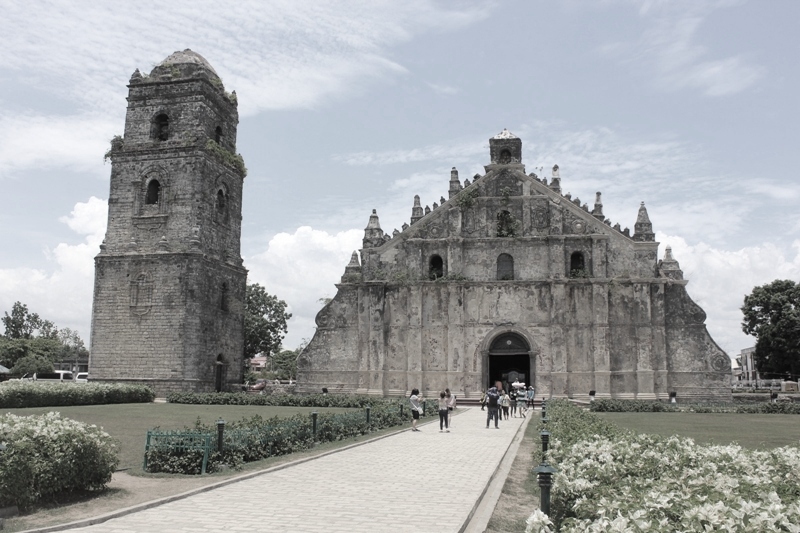 Amazed by its beauty the first time I saw it way back in high school, I asked my husband to take us to the stunning Saint Augustine Church commonly known as the Paoay Church located in the municipality of Paoay here in the Philippines during our trip to Ilocos Norte. 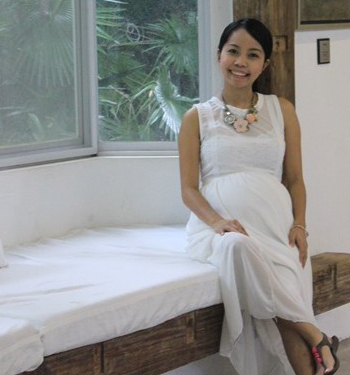 At a glance, the church seemed to me like a giant stone structure carved into a beautiful piece of art. I love it’s beautiful architecture. It’s a great example of “Earthquake Baroque” design to adapt to the seismic condition of our country: The lower part of the walls are made out of heavy coral stones and for the upper levels, lighter bricks. The sidewalls are heavily buttressed to keep the church from shaking during earthquakes. If you’re going to look at the sides and at the back of the church in your visit, you could say that the huge buttresses reinforcing the walls are the best features of the church. It took years and years for the church to be built. It started in 1694 by Augustinian friar Father Antonio Estavillo, and was only completed in 1710. Another striking part of the church that I so fell in love with is its belltower. The belltower stands at a distance from the church, on its right side.Well, the say that the belltower also served as observation post for the Katipuneros during the Philippine Revolution in 1896. 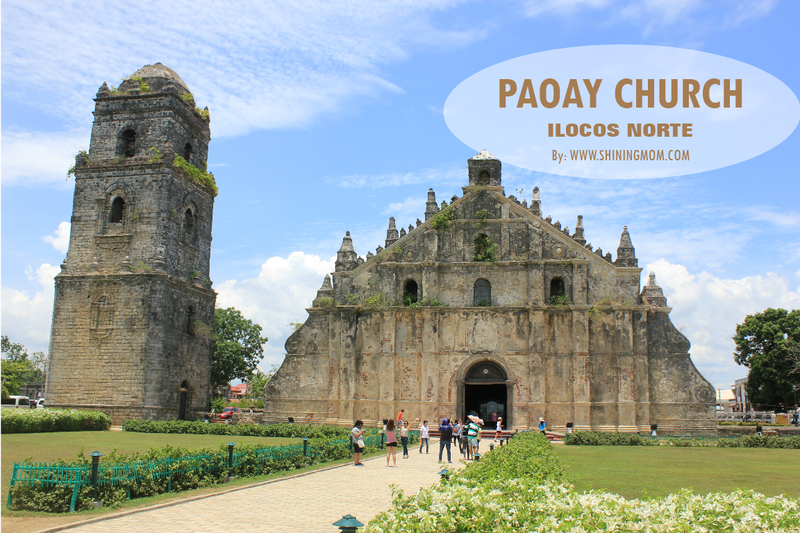 The Paoay Church is made out of big coraI stones and bricks. In 1973, Paoay Church was declared as a National Cultural Treasure by the Philippine government in 1973 and on December 11, 1993, a UNESCO World Heritage Site under the collective group of Baroque Churches of the Philippines. 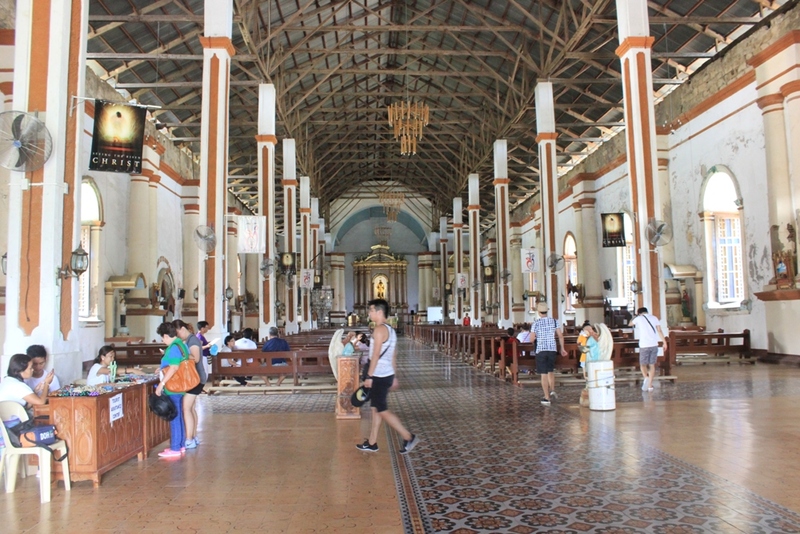 I’m really happy that we got to see the magestic Paoay church again, this time with my family. 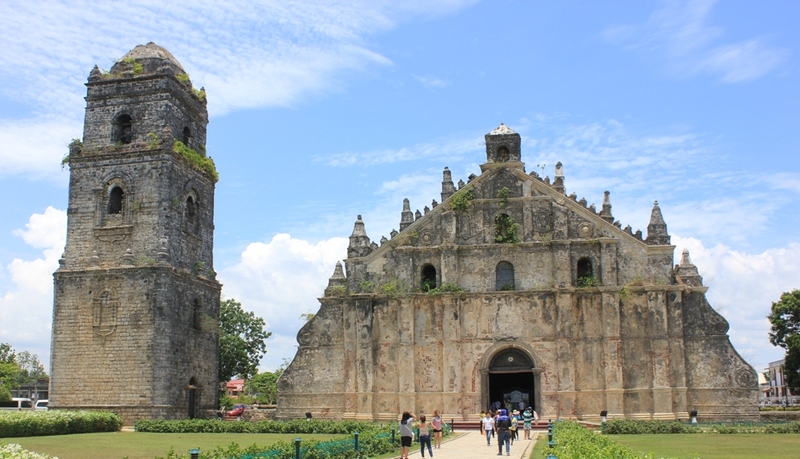 « Why do we love our Ilocos Norte trip?